What a hoot! The Diva's challenge #95 is kindly brought to us by Courtney from Texas who reminds us of Mickey Mouse's debut way back on the 18th of November 1928 in the animated short film "Steamboat Willie". It really is a classic and such a giggle, you can view the film on The Diva's blog here . 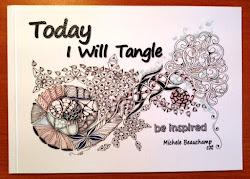 During the week I have been playing with Carla's Pop-Cloud and hoping I could in some way incorporate this delightful tangle in this weeks challenge. When Steamboat Willie's whistles blew clouds of steam puffed with inspiration! Thanks Courtney and Carla it was a blast from the past with a toot and a hoot!! I thought they were the cutest things in the video! Bravo. You have hit gold with this one! This is just wonderful! 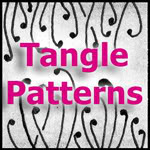 I love the whistles with the clouds of smoke and the very strong border pattern. What a great idea and beautiful done! I love your steam whistles. Such a clever use of Pop-Cloud. brilliant! really! these are just too adorable! The whistles caught my eye too and you've done a beautiful job once again. It was my favorite part of the video too! You've totally captured those wonderful steamboat whistles! This is a toot and a hoot! Too cute! And well done! Yes Aliyaran, it is official tangle....quabog. What a wonderful little scene. 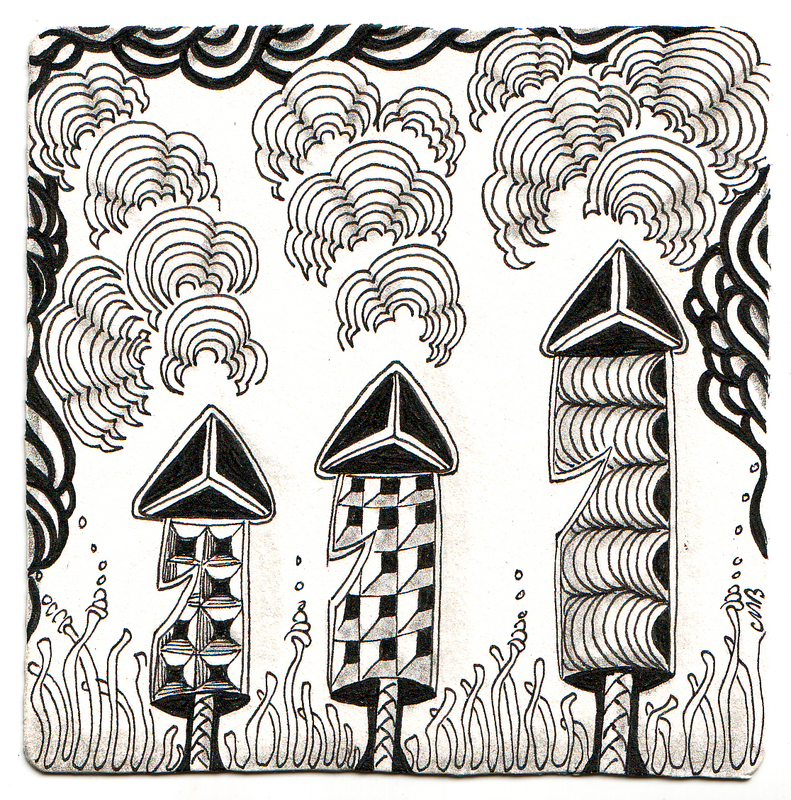 Love the whistles, the steam clouds, the border and your little fauna growing. I've seen that somewhere before but don't know what it's called. Great whistles! I too wanted to capture them. You certainly did them justice. Bravo. Very nicely done! Your work is always so outstanding. 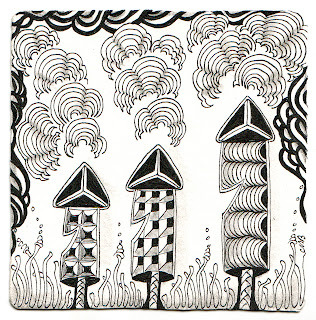 Great idea to make steampipes, in combination with the clouds. Great ! Love the ZIA. Perfect marriage of the whistles and Pop-cloud. i can just see mickey bouncing back and forth and whistling up a storm - what a great interpretation of the theme!